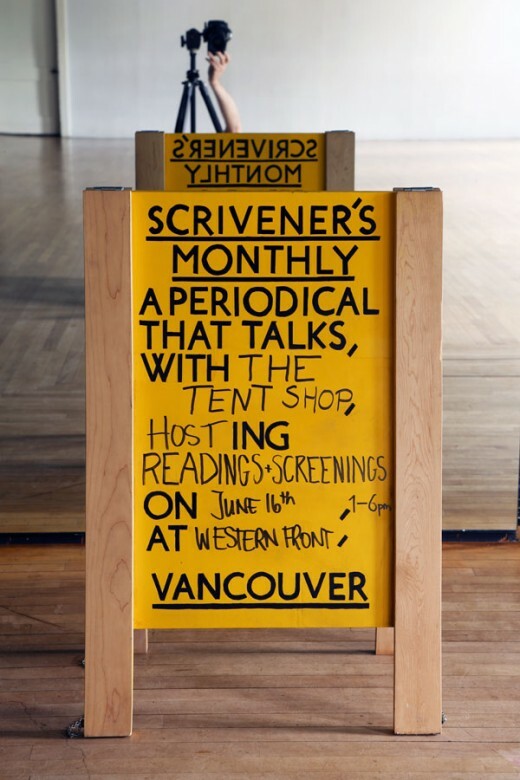 Scrivener’s Monthly is pleased to present Jacob Gleeson’s Tent Shop Hosting Readings and Screenings on Saturday June 16th from 1 till 6pm. 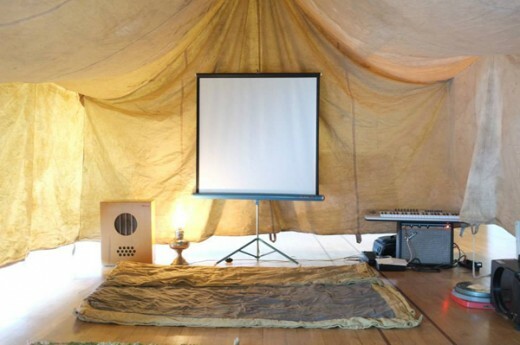 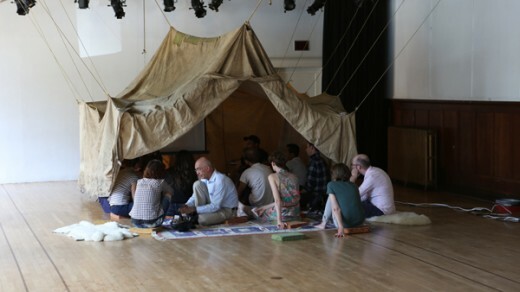 The Tent Shop will be hosted in the Edam Dance studio on the first floor of the Western Front. 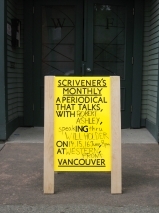 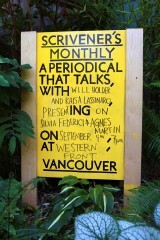 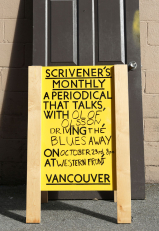 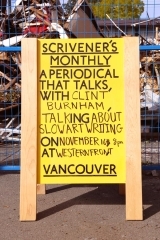 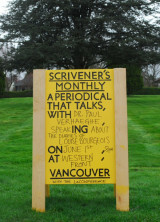 This Scrivener’s Monthly will be held in conjunction with Western Front’s 40th Anniversary Open House. 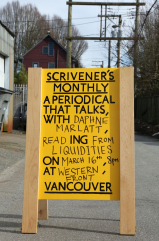 Events throughout the day will include traditional Thai fruit carving, readings by Mark De Long and Tiziana La Melia, a screening of an original Beachcombers episode on 16mm film and music and astrological reading for the Western Front by Jeff Chute.